Craving for BBQ but you don’t have time to grill and fire some charcoal? Well, here’s an alternative for you. You can make your own pork bbq at home, less mess and less the hassle. 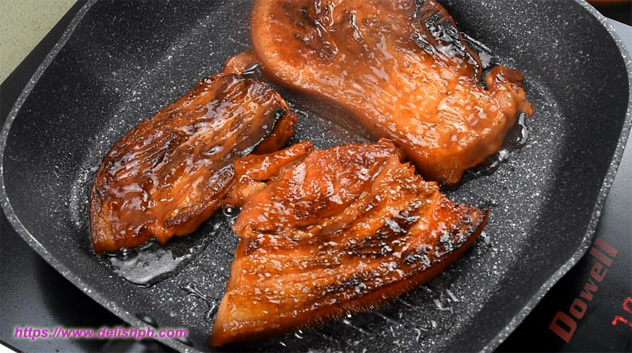 This pan grilled version is definitely as tasty as your traditional pork bbq. 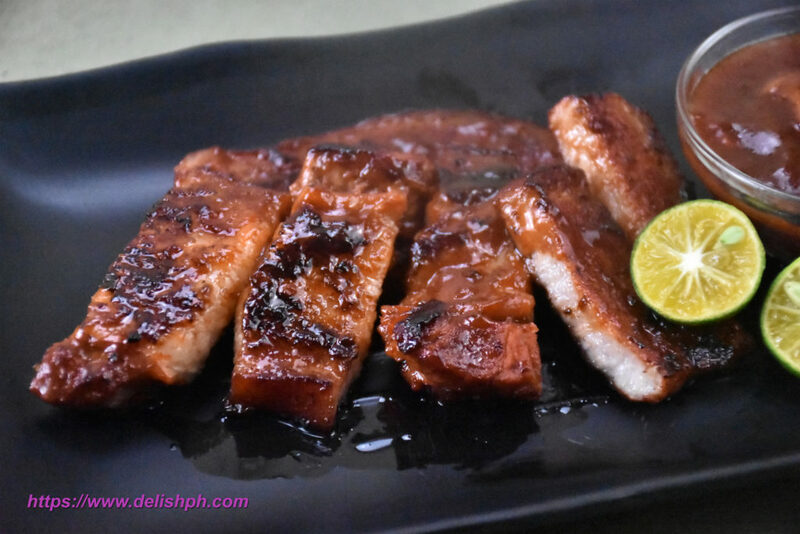 Marinate the pork with some garlic, calamansi juice, soy sauce and banana ketchup for about an hour or even overnight. Put the marinated pork and the marinade in a pot. Add about half cup of water. Boil for about 15 – 20 minutes depending on the size of your pork. Keep the sauce boiling. Add the brown sugar, vegetable oil and season with salt and pepper. Pour in the cornstarch diluted in water to thicken the sauce. Put the sauce in a bowl and set aside. Heat the grill pan. Put the pork and cook on both sides. Brush some sauce each and every flip. Since I love pork bbq but I don’t want to go through the hassle of grilling, I came up with this recipe. Very easy and less messy. If you have any question about this recipe, drop a comment below or send me an email or direct message us on our Facebook Page.